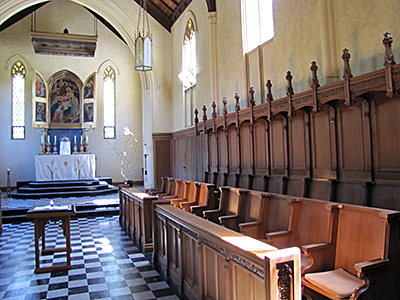 The original monastic Chapel accommodates 40 to 60 people and is used for worship and seasonal concerts. 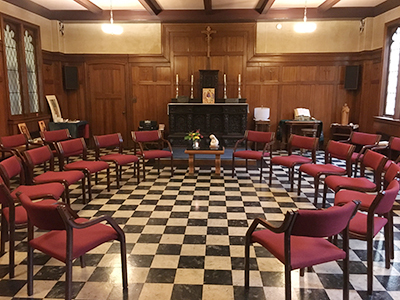 An additional sacred gathering space provides for up to 60 people and is used for more informal Eucharist gatherings and meetings. 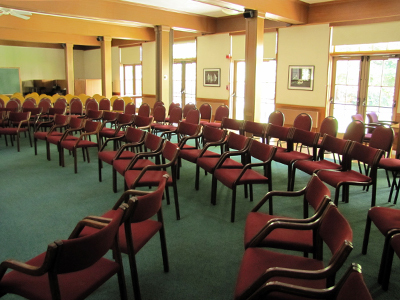 The conference room is a large partitionable area with a gas fireplace and can seat up to 100 guests. 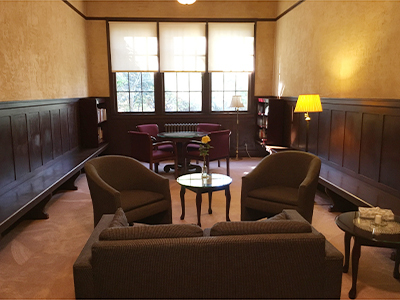 The library draws guests who enjoy reading quietly. It has two large tables with chairs providing additional small meeting or dining space as needed. 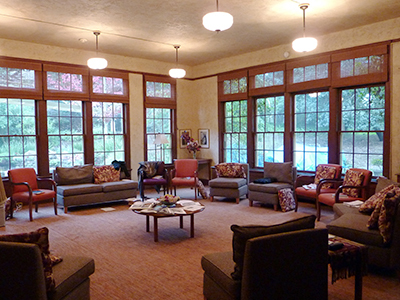 Adjacent to the library is a large comfortable room with a wood-burning fireplace that can accommodate up to 40 people. This small meeting room has a guest computer and printer and is often used as a breakaway space for small group of up to 12 or 14 persons. 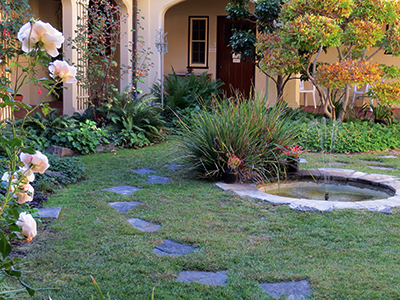 The inner courtyard garden is a quiet space available to all groups and individuals for contemplative time. 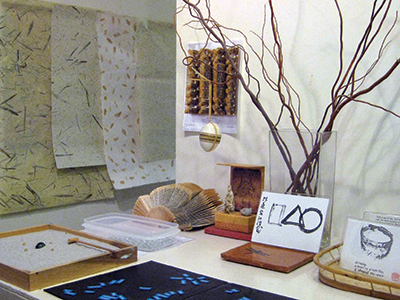 Art and meditation space provides guests a creative space to discover calligraphy, origami, collage makings and other art supplies to explore their own soul work through artistic expression. 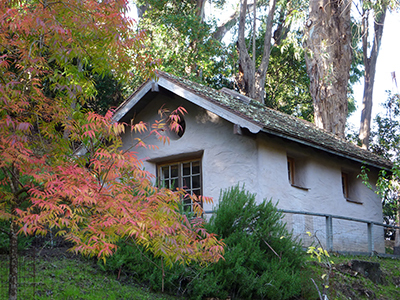 The straw bale hermitage provides retreatants a unique space for solitary time. The hermitage is used for single, hour-long sittings during programs and for day use when no programs are scheduled. 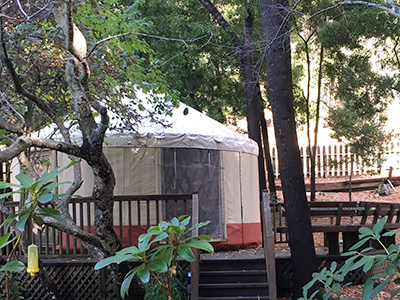 Nearby and slightly above the south west gardens sits the yurt, an enclosed circular structure with a redwood deck, which accommodates small discussion and prayer groups as needed. There is wireless technology throughout the building, and the capability to do live streaming is available in the conference room. 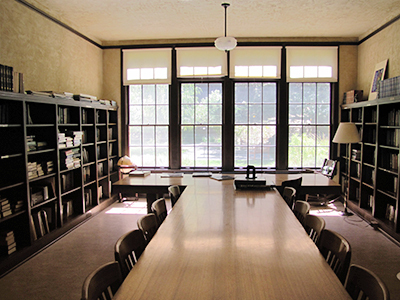 The first floor contains three staff offices and a large work room with copy machine and fax. 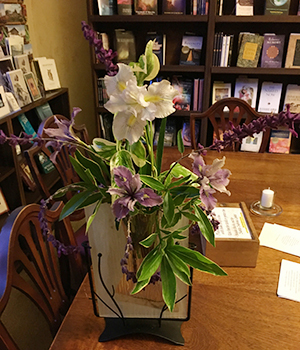 The parlor/bookstore, inside the main entrance, serves as a reception/registration area and has attractive offerings of poetry, contemporary spirituality, creation spirituality and Merton materials. 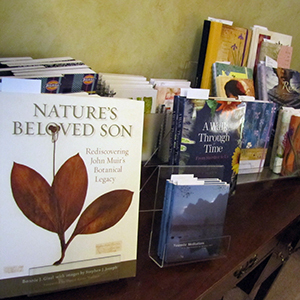 In addition, an array of original artistic cards and small meditative items are available. On your next visit to the center drop into the parlor/bookstore. There are new books and some old favorites to explore. Yvonne Rose has offered us new photographic creations as she brings her artist's eye to the nooks and crannies of Santa Sabina. 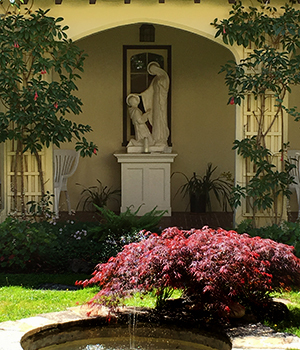 Take home some honey from the Carmelites of the Redwoods to enjoy. Find a card for someone special.